is less than 2 weeks away! Does this warmer weather have you thinking about that next home project? The kiln was just unloaded and the walls are lined with new stock of Ash and Walnut. We also stock Red Oak, Maple, Sycamore, Elm and various species of dimensional lumber. We are excited to announce that we now stock metal bases for the complete tree to table (with base) product. 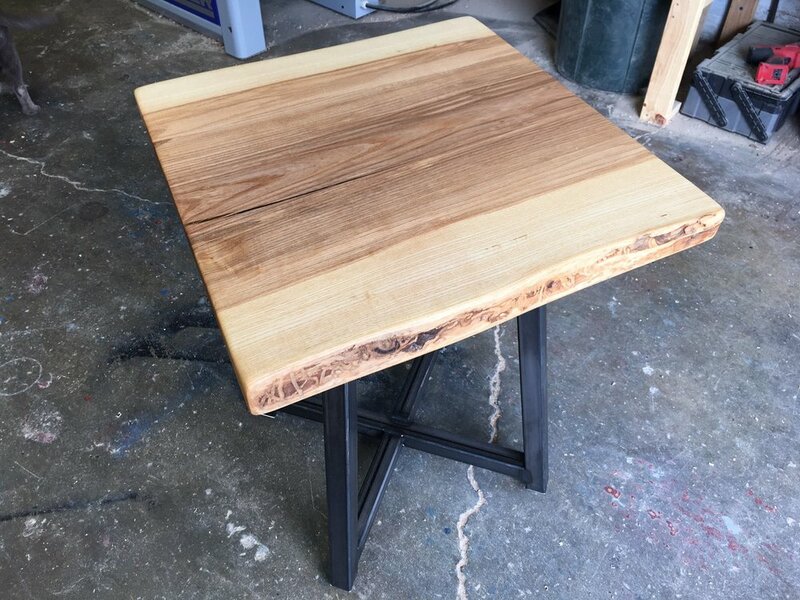 For those of you interested in our finishing process, Treg will be demonstrating a Rubiomonocoat finish application. "Tysi" aka Tyler will be crafting up small bites & refreshments will be provided. 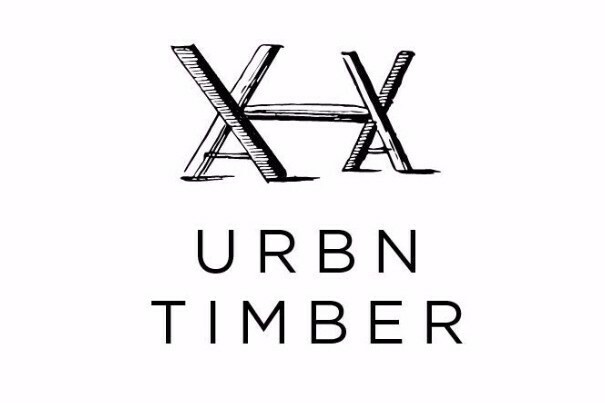 Other Urbn Timber merchandise including t-shirts, coasters, turning blanks and candles will also be available for purchase. Come out and meet the Urbn Timber crew before you head to the neighbor's cookout or weekend getaway! We will be closed this Thursday 5/18, Friday 5/19 & Saturday 5/20. We are headed to Amana, Iowa for the Handworks Show to learn more about all things handwork. Storge Ohio is a retail store located in Downtown Powell, Ohio which carries affordable, stylish and practical products from small businesses all over Ohio. From cookies to candles, clothing, glassware and small furniture, you can find all of these locally sourced items at Storge Ohio. We recently delivered 4 unique pieces. 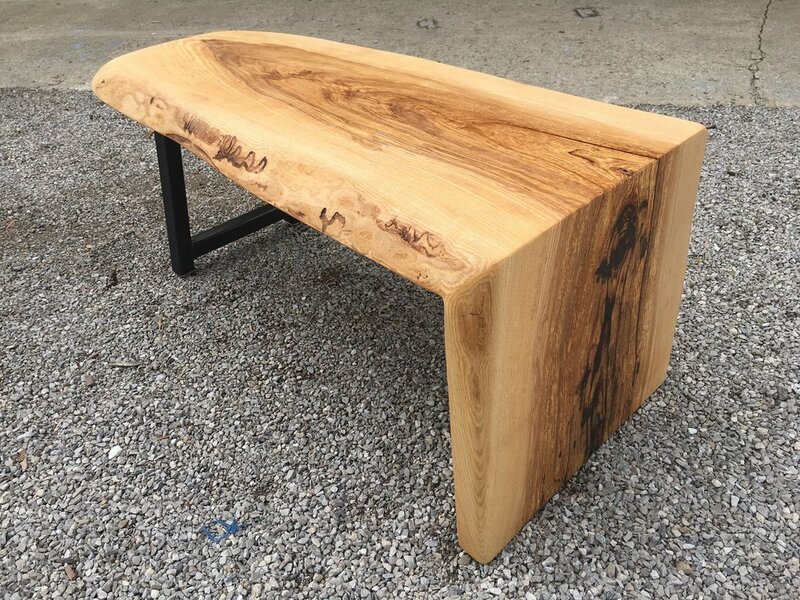 An Ash waterfall bench/coffee table, which came from the oldest Ash tree in Harrisburg, Ohio. Two side tables made from an Ash tree removed from Sidney, Ohio and a Walnut sofa table removed from Bexley, Ohio. The metal bases--X, A and Platform--were created by Josh Wilford. When we stopped in to deliver our pieces, we came out with 2 homemade cookies and a dress for the girlfriend. Be sure to check out Storge Ohio next time you are in Powell! We just wrapped up this 40" diameter Ash cookie for CIX Direct. This cookie was part of an Ash tree from the customer's property and will become a hanging wall decor piece. Be sure to check out the figure in the pictures below. 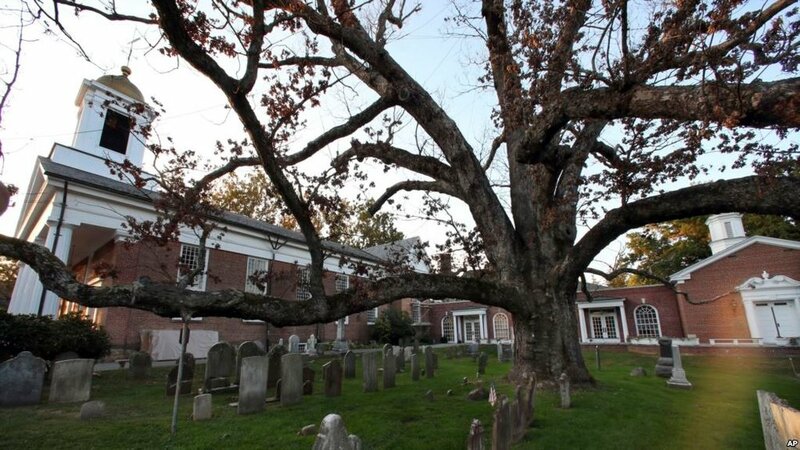 A 600 year old white oak tree located at Basking Ridge Presbyterian Church in Bernards, NJ was removed after arborists declared it dead from rot, weakness and age. The tree had stood for nearly 300 years before the church was built in 1717. It stood about 100 feet tall with a base circumference of 18 feet and trunk spread of 150 feet. Officials say it was the site of a picnic General George Washington held with the Marquis de Lafayette, and the Rev. George Whitefield, a noted evangelist, preached to more than 3,000 people beneath the tree in 1740. The trunk and limbs were delivered to Pollaro Custom Furniture to be transformed into altars tables for the church and meeting tables for Bernards town hall.